29/05/13 - ¿Dónde comemos?, gastronomía, diseño. "Urban Endurance & Hybrid Spaces: Rethinking the Azca District". 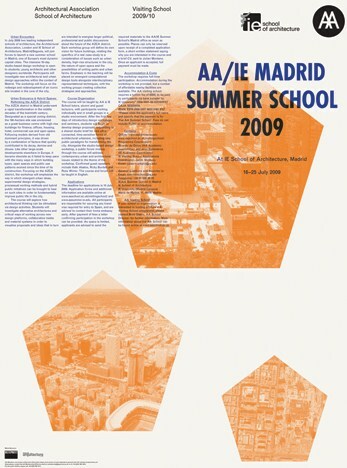 Urban Endurance & Hybrid Spaces: Rethinking the AZCA District The AZCA district in Madrid underwent a rapid transformation in the middle decades of the twentieth century. Designated as a special zoning district, the 190-hectare site was envisioned as a great business centre with high-rise buildings for finance, offices, housing, hotel, commercial use and open space. Following models derived from old dominant principles, it was driven by a combination of factors that quickly contributed to its decay, demise and disuse. Like other large-scale developments elsewhere in Europe, it became obsolete as it failed to keep pace with the many ways in which building types, open spaces and public use patterns evolved since the time of its construction. Focusing on the AZCA district, the workshop will emphasise the way in which emergent urban ideas, experimental design strategies, processual working methods and hybrid public initiatives can be brought to bear on such sites in order to fundamentally improve public life in the city. The course will explore how architectural thinking can be stimulated via design activities.